Pie Town, peacefully resting in Catron County, New Mexico was apparently founded as follows: Sometime in the early 1920's, Mr. Clyde Norman, a tall Texan and World War 1 veteran who "liked to bake", "broke down" on the side of the road and began making dried apple pies at his upstart business on a piece of ground that lay along a little rocky ridge and the "Coast to Coast Highway" later to become U.S. 60. 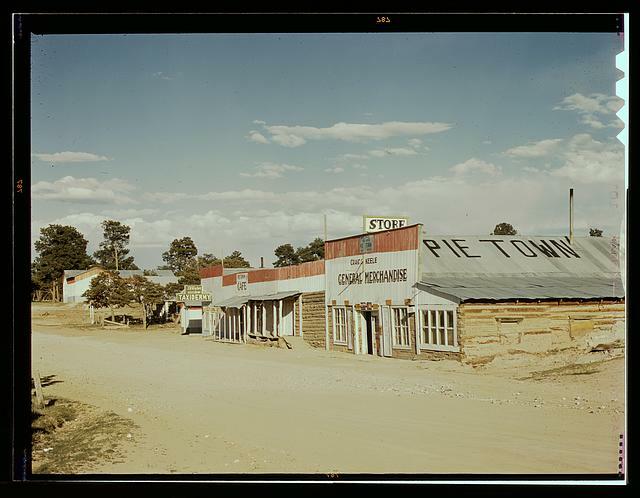 The word got around that the best pies anywhere were to be found at "Pie Town" hence the name Pie Town. 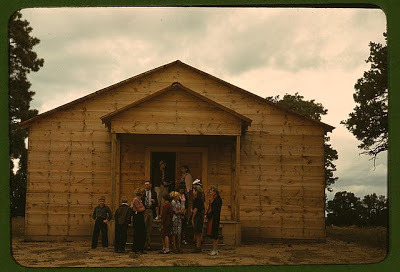 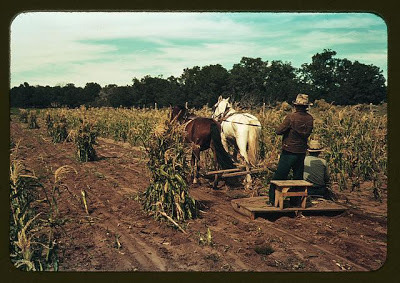 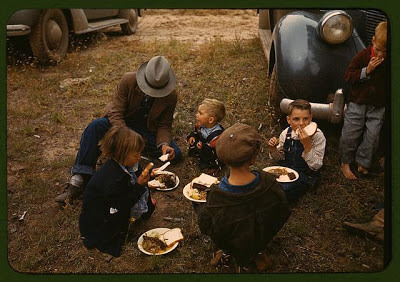 In 1940, near the end of the Great Depression and just before the dawn of the United States' entry into World War II, a photographer named Russell Lee, an itinerant, government photographer employed by funds from Franklin D. Roosevelt's New Deal, captured stirring photographs of the people of Pie Town. 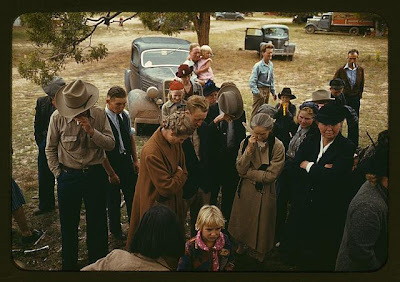 The images he captured are nothing less than national treasures. 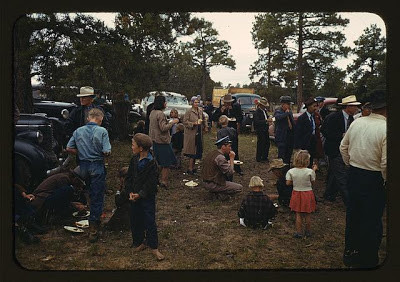 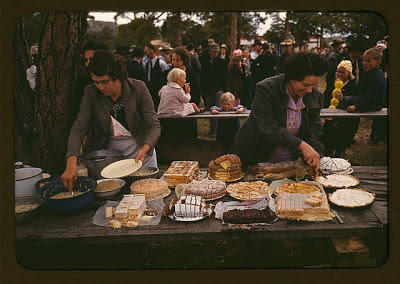 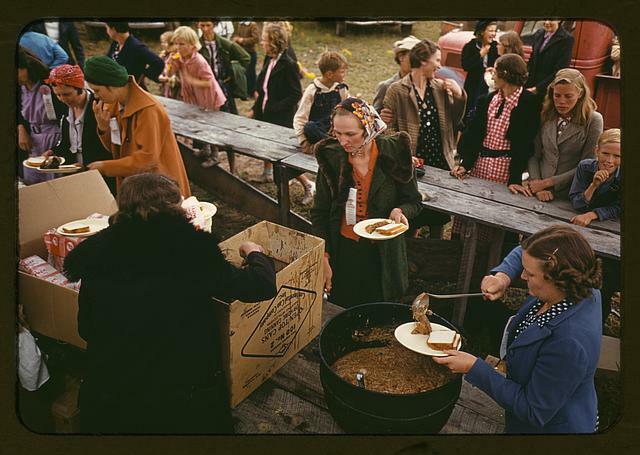 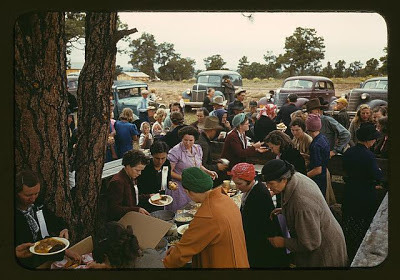 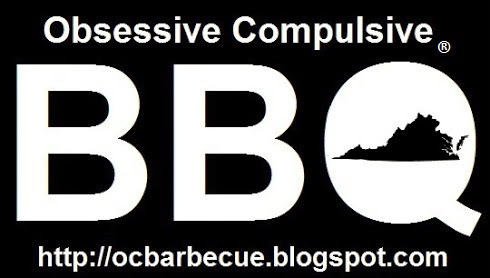 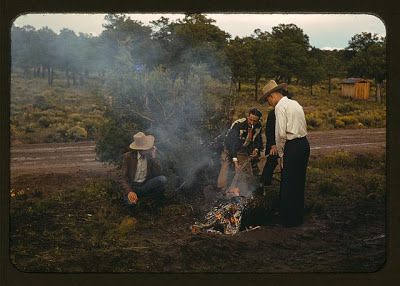 Here, I post some of the photos of the Pie Town Fair Barbecue of 1940 made available by the Library of Congress. 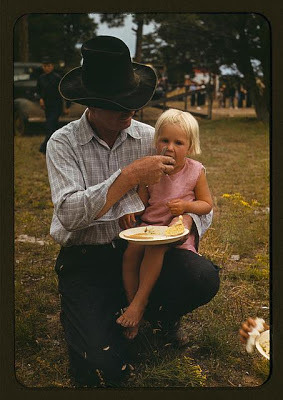 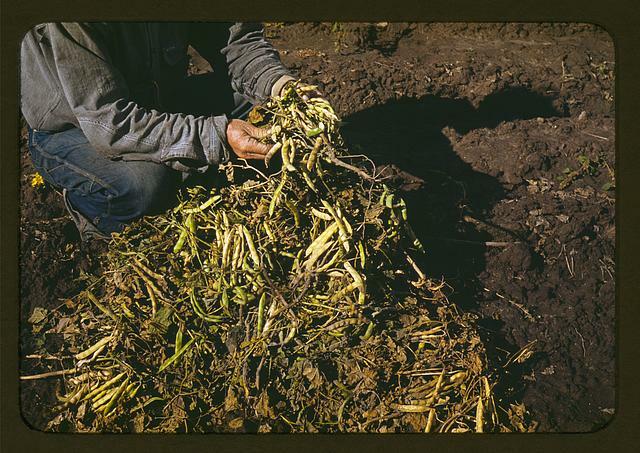 The photographs need no commentary. 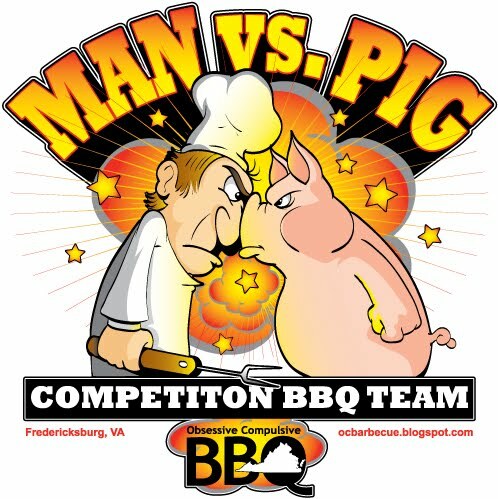 The images tell the story better than any words ever could.